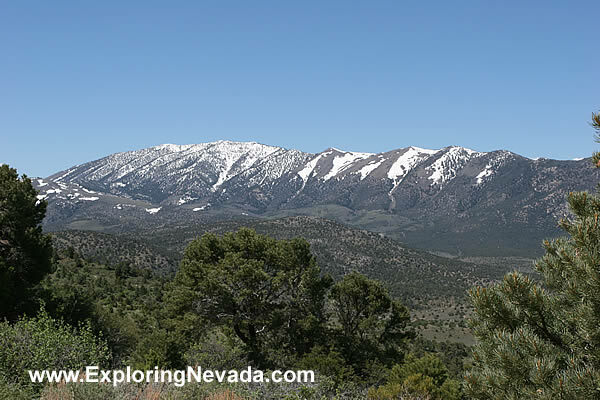 The views are great on Hamilton Ghost Town Scenic Drive. The snow-capped peaks are part of the White Pine Range. The tallest peak is Mt. Hamilton at 10,700 feet.